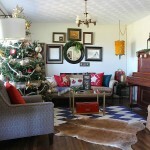 First off, I have to say THANK YOU for all the love and comments on our Woodsy Glam Christmas Home Tour. You all blew me away and I am just so grateful that you all are my friends and readers! Mwah! 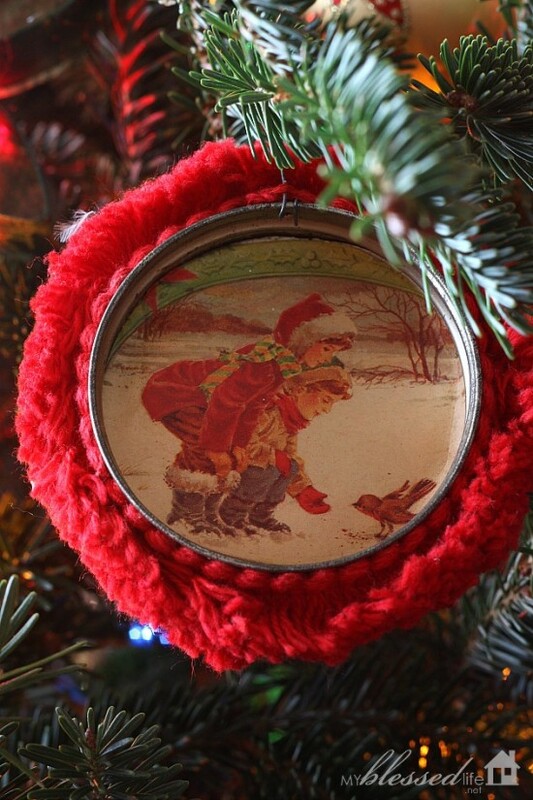 I have always loved this adorable ornament. I think it’s made from a toilet paper roll. I love the colorful felt, zig zag trim and sequins. 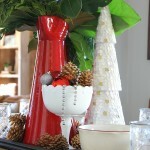 This one is made from a jar lid, Christmas card and trim. Isn’t it pretty?! This is another one made from a toilet paper roll. It has always been one of my favorites. I love how festive and meaningful handmade Christmas ornaments are. 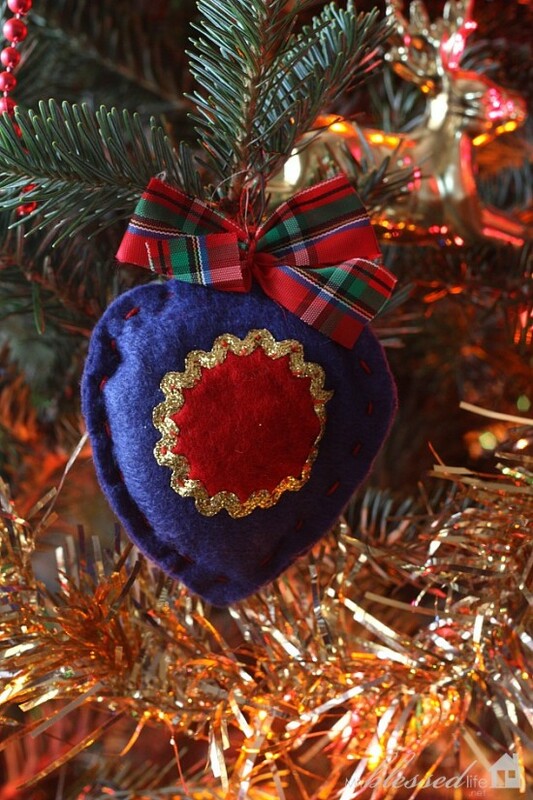 This is the first of many handmade, trimmed-out felt heart ornaments. I love that they are hearts because our family is very close. I love the hand-stitched edge and the detail on this one. 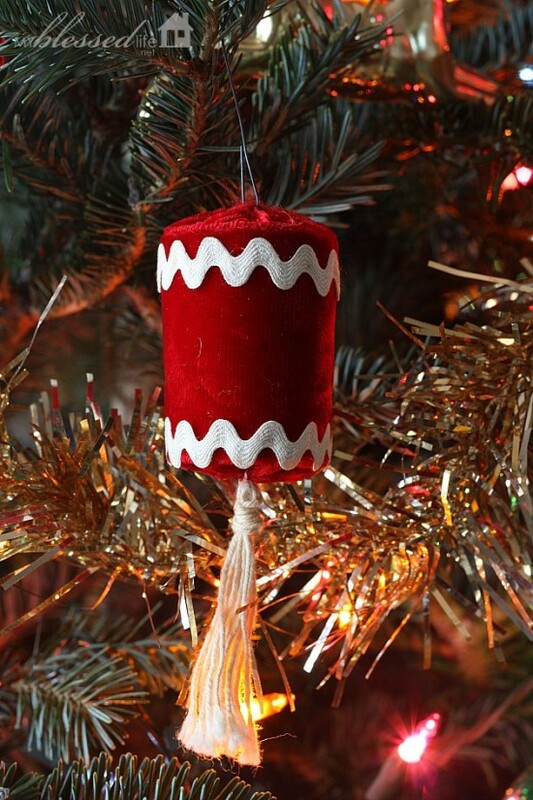 Of course, it wouldn’t be Christmas without a bell or two. 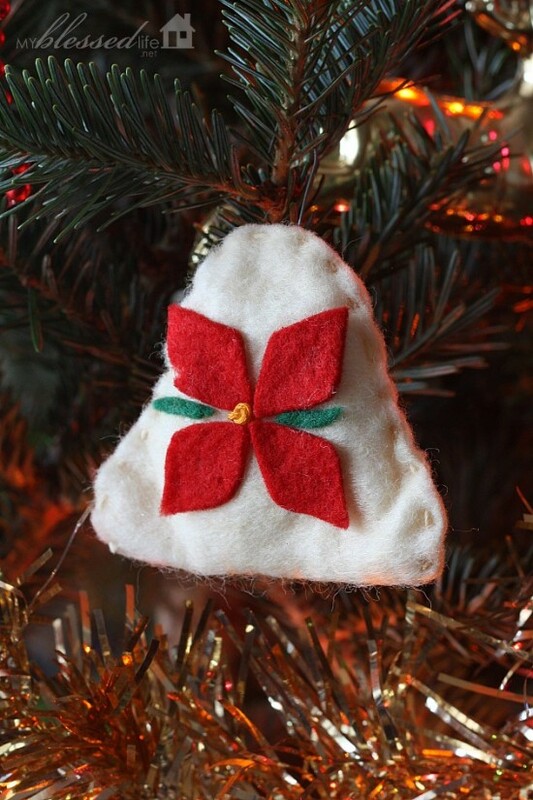 And a bell trimmed with a felt poinsettia is even better. 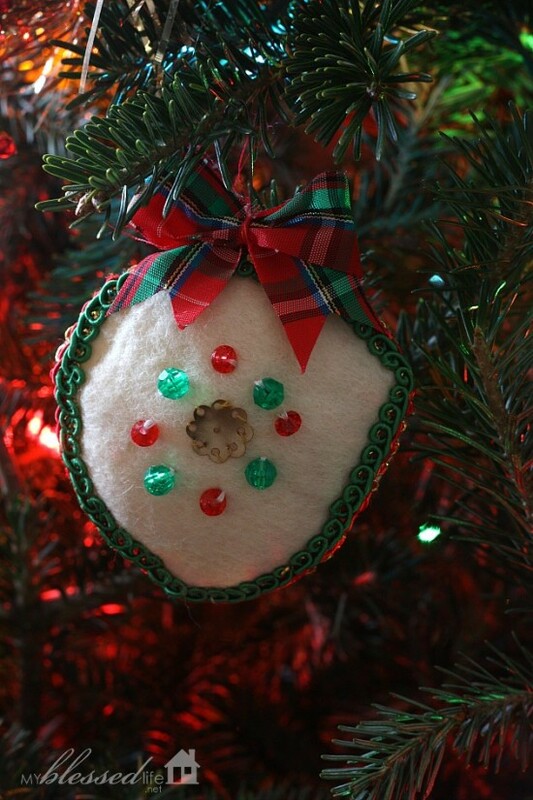 All the felt ornaments are stuffed with a bit of batting to give them more oomph. 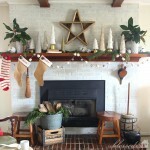 I’ve always loved Memaw’s gold tinsel garland even though it seriously sheds all over everything. Ha! And the flashing star. 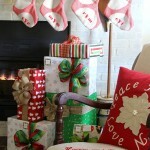 It’s a sure sign that Christmas is coming. I have the best memories of putting up Memaw’s tree for her every year. It was a family tradition that I’ve missed so deeply. 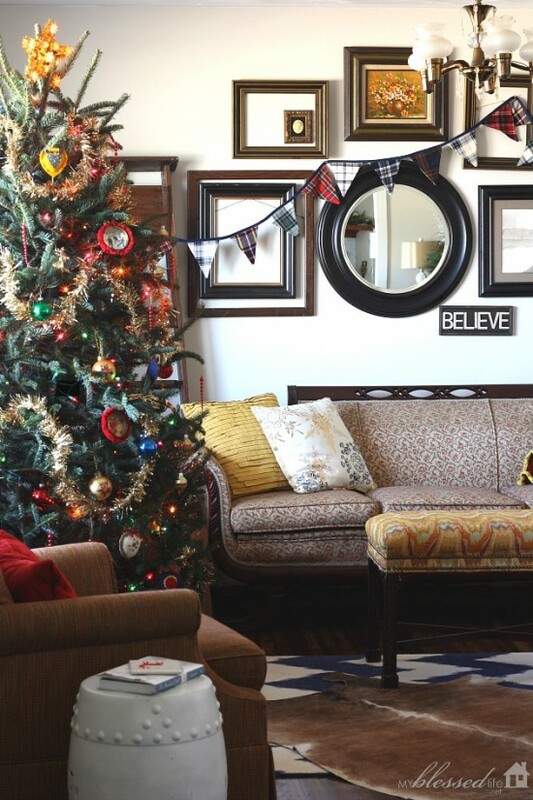 I’m thankful to have these sentimental ornaments to look at this year. 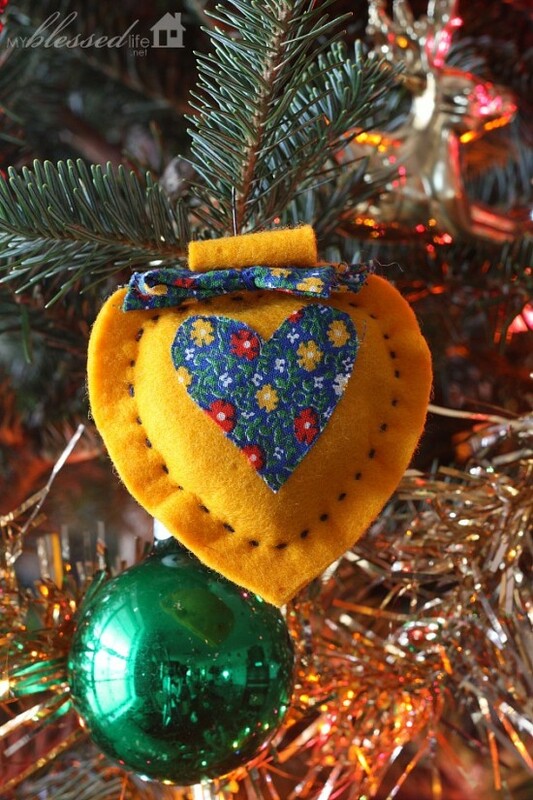 Do you have handmade ornaments on your Christmas tree from years past? So beautiful. I made my own ornaments using my mom’s Christmas jewlery. I know you will love these for many many years. Merry merry Christmas. 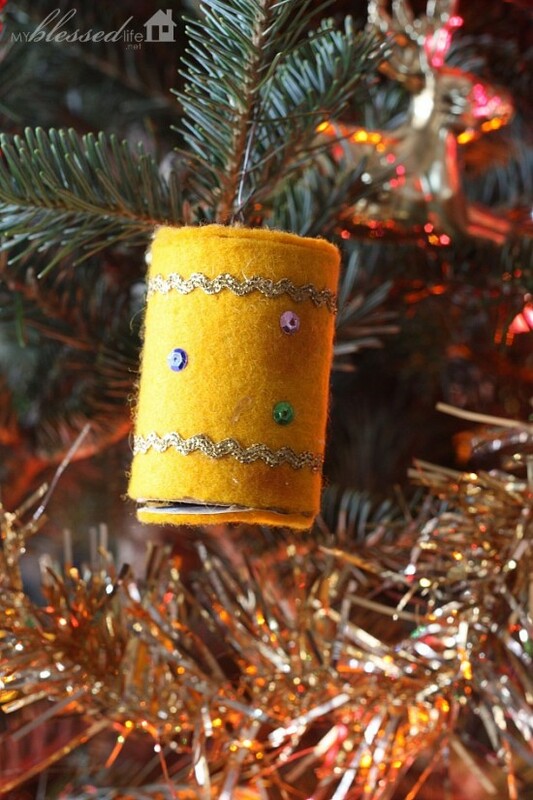 I love homemade ornaments. My granddaughter saves toilet paper rolls for us to craft with so now I have some new ideas. Thanks Myra. and necessary! 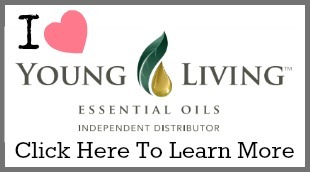 I love the transitions you’ve made, Myra! It’s all so honoring! 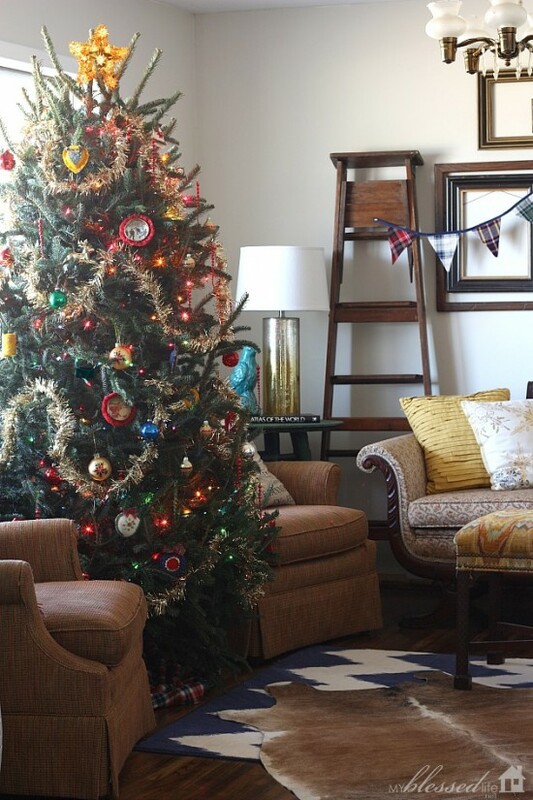 The Christmas tree was one of my favorite things on the home tour posting – I love that you are using your grandmother’s ornaments, tinsel and star! 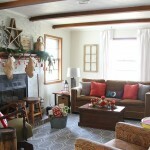 What a great way to honor her, as well as enjoy special memories for you and your family. 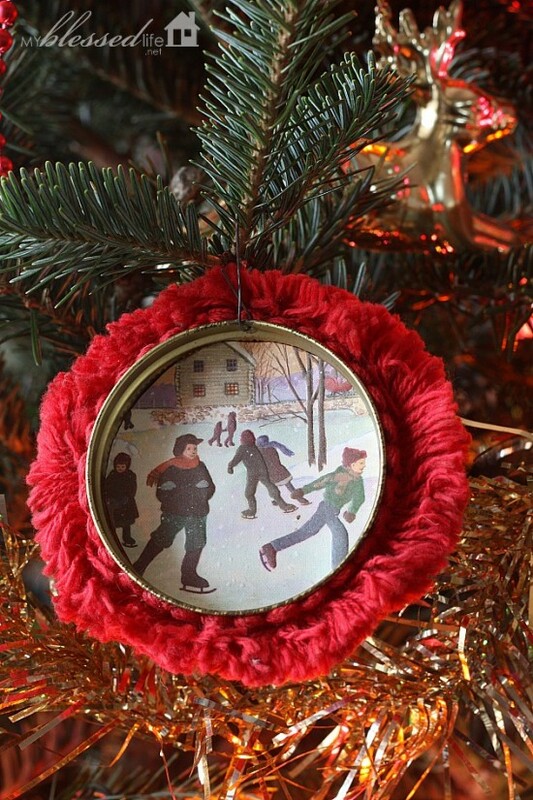 I have several ornaments on my tree that are handmade – some by me, my boys when they were younger, and several from my Mom, great aunt and grandmother. 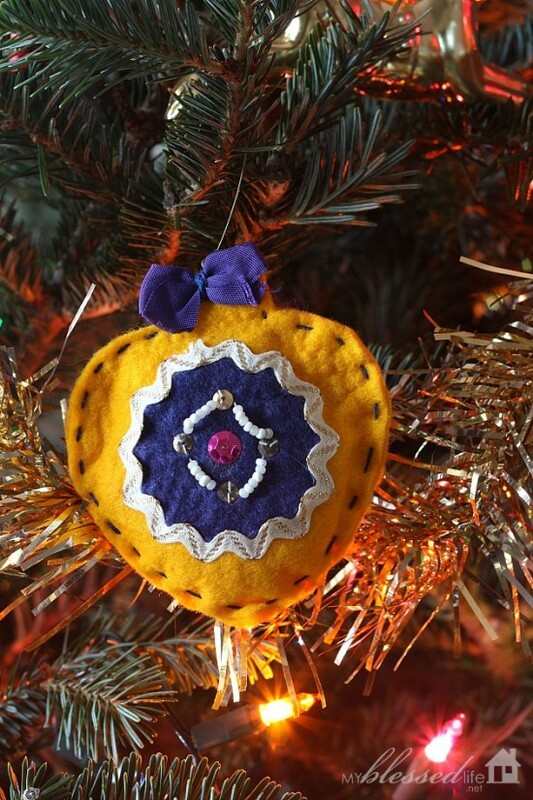 They are a special addition to the tree and bring back such good memories each year!